The beauty industry has been proliferated with myriad products, some authentic, some fake and it is becoming increasingly difficult to verify the best product for your skin. Many products claim the ability to be able to redeem numerous skin problems through the bottle. Just like the single function bottle, skin care products have become a bone of contention with several allegations of serious and irreversible side effects. Add the considerable costs that dent your budget and you have a recipe for disaster. There are a variety of home remedies that are available to enhance the look of your skin. Home remedies for the skin can be actions that you take to improve your skin as well as the natural products to use on them. The beauty of these home remedies is that they are both cheap and have few or less serious side effects. The first home remedy is a thorough cleaning of the skin on a daily or regular basis with emphasis on the pores. The skin loses its luster the moment the pores get clogged because of accumulated skin oils. One way of unclogging the skin pores is by steaming the skin. When water on any stove has boils, lean over the pot and steam your face. If the steam is too hot, use a towel to cover your face and continue steaming. For aromatherapy using steam, add rosemary or fresh lemon or other pleasant herbs to the water. Apple cider vinegar is an important fluid in the house with various uses both external and internal. For the skin, the antifungal and antibacterial nature of apple cider vinegar will help balance the skin pH levels. Apple Cider Vinegar is a great choice for everybody especially if you are not adventurous with skin products. Apple cider vinegar controls the production of excess sebum that will block the skin pores on the face, chest and back forming blackheads, whiteheads and acne. Apply apple cider vinegar with a cotton wool or soft piece of cloth and leave for 10 to 20 minutes and then wash it off. 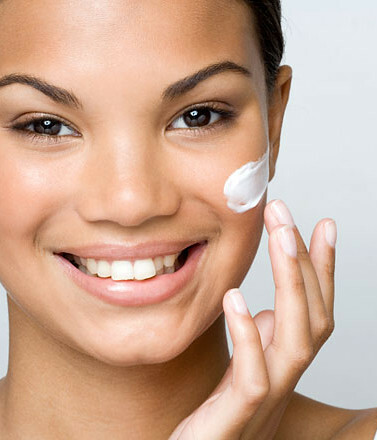 For severe acne cases, leave it overnight and preferably use it while it is concentrated. The anti-fungal properties of apple cider vinegar enable it to be used to remove scalp conditions of the skin like dandruffs, eczema and seborrhea dermatitis. Use an egg white mask if your skin constantly feels oily during the day. Egg white mask helps get rid of the excess skin oils and sebum excretions to give you a smooth and nice feeling on the skin throughout the whole day. Most people with acne have skins that are prone to excessive production of oils. Separate the egg white from the bowl. Use one or more eggs as is necessary. Using a brush or your hands, apply the egg yolk on your face, neck, chest and any other areas that are prone to acne. Relax and let it dry which may take 20 minutes or more and then wash it off thoroughly. Honey and oatmeal are available in the house and there are no additional costs associated with them. In a bowl, combine oatmeal and honey and smear the paste on your face, chest, neck and other areas prone to acne. Leave the paste on your skin for 10 or so minutes the wash it off. This is one of the most pleasant mixtures to use on the skin and will definitely leave your skin feeling smooth, sweet, clan and fresh. Constantly using it will rid your skin of acne and make it very soft. Always perform regular facial scrubs. Combine oat meal with the facial soap. You can get the mixture in your hand and gently scrub your face with a soft piece of cloth or a cotton wool. This will remove dead skin cells from your face and leave the pores open. Most of the home products also focus on the face, the chest, neck and by extension the upper back. The rest of the skin has to be well taken care of still by using traditional moisturizers like sweet almond oil complemented with other skin lotions from the shops. Author’s Bio: Mark is a fitness enthusiast, who loves to write on popular home remedies like Apple Cider Vinegar, honey and oatmeal. Nice post, There are so many skin care treatment that can cleanse your skin. The best option for individual who have acne scars should get the best home remedies to eliminate acne scars. It helps them to have a brighter skin with damage exposed to the sun or any other weather conditions.